Landmark, groundbreaking, classic these adjectives barely do justice to the pioneering vision and lasting impact of The Feminine Mystique. Published in 1963, it gave a pitch-perfect description of the problem that has no name: the insidious beliefs and institutions that undermined women's confidence in their intellectual capabilities and kept them in the home. Writing in a time when the average woman first married in her teens and 60 percent of women students dropped out of college to marry, Betty Friedan captured the frustrations and thwarted ambitions of a generation and showed women how they could reclaim their lives. 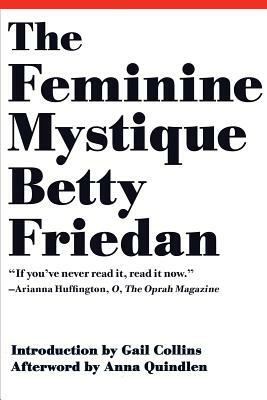 Part social chronicle, part manifesto, The Feminine Mystique is filled with fascinating anecdotes and interviews as well as insights that continue to inspire. This 50th anniversary edition features an afterword by best-selling author Anna Quindlen as well as a new introduction by Gail Collins.